The race to a bezel-less phone has been going on for years and we’ve seen all sorts of workarounds. From notches and in-display cut-outs to pop-up and vertically sliding cameras. 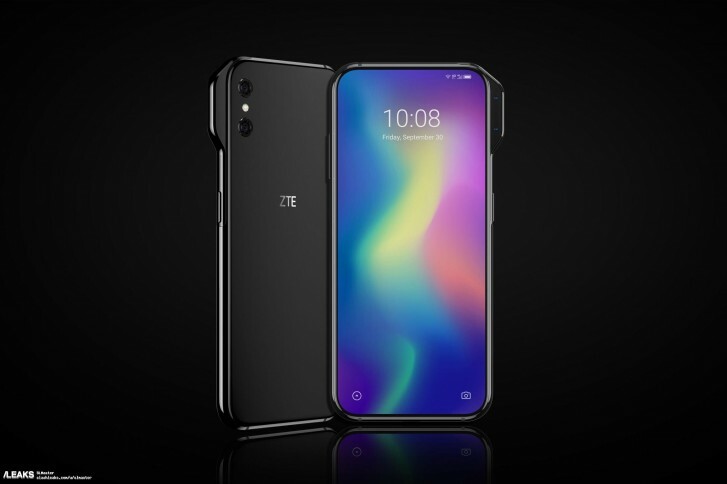 New renders reveal that ZTE is gearing up to offer a new solution with its Axon V and Axon S.
The Axon V puts the front-facing cameras permanently on the right side mounted on a protruding piece of bodywork in the top-right corner. This removes the need for a motor or sliding mechanism and would save valuable space inside the device. Speculations lead to a 6.8 inch 21:9 display with dual cameras on the front and back. The more interesting design comes with the Axon S, which goes for a horizontal sliding mechanism to reveal both the front and rear-facing cameras. Essentially, the phone would have nothing but solid glass on its back while closed. Sliding the screen to the right would reveal the dual selfie cameras as well as the triple setup and LED flash on the back. 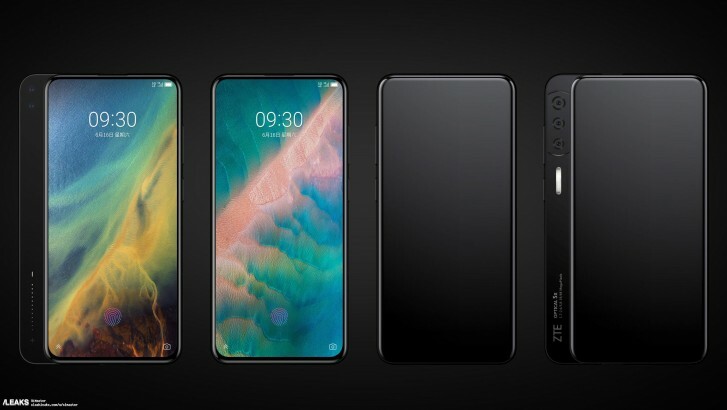 While still just concepts, the two new ZTE designs are interesting alternatives to the space-wasting notches and unsightly cutouts. Concept 1 is literally add a tumor bezel. Hope all other brands will follow this trend.